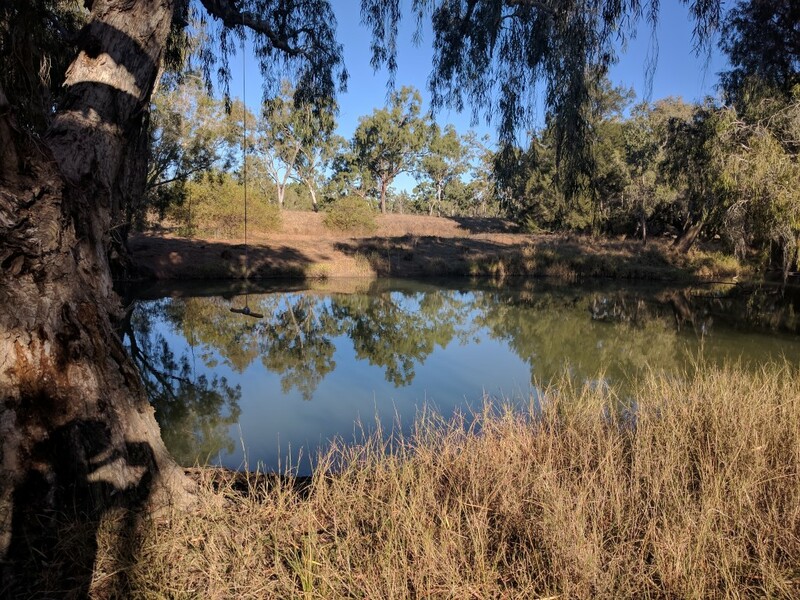 Reedybrook Station is located in North Queensland, Australia and is often referred to as the Valley of Lagoons; not to be confused with the Valley of Lagoons Station. Valley of Lagoons Station itself does not allow campers. 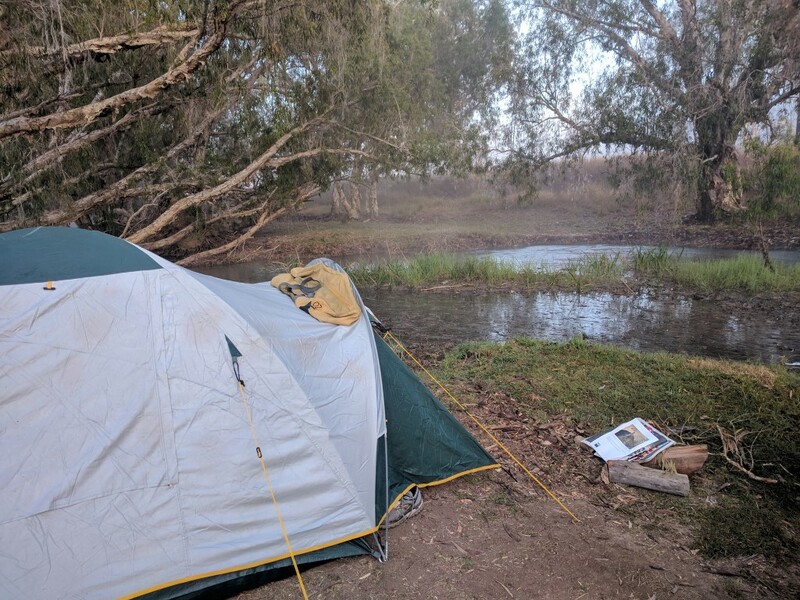 The northeastern slopes of Boulder Mountain are the origin of the Burdekin River so you're literally camping at the headwaters of the Burdekin River. 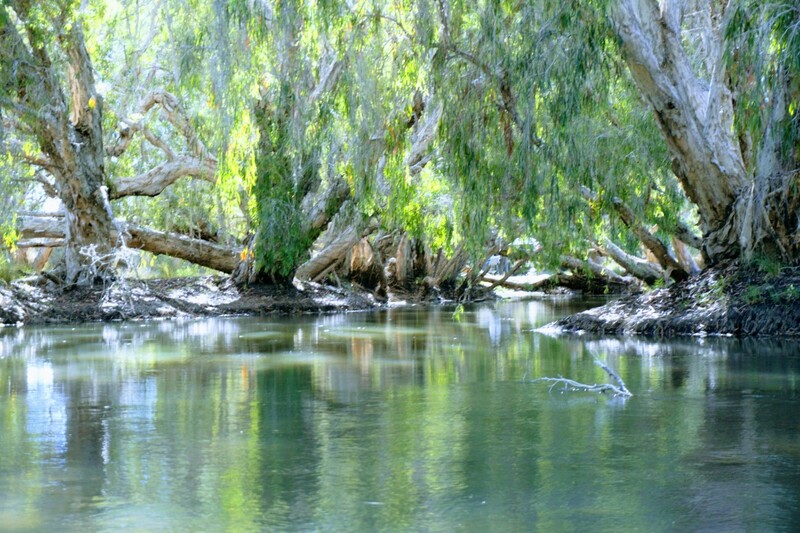 The Burdekin River is Australia's largest river by (peak) discharge volume that flows across North Queensland and meets the sea between Ayr and Home Hill. 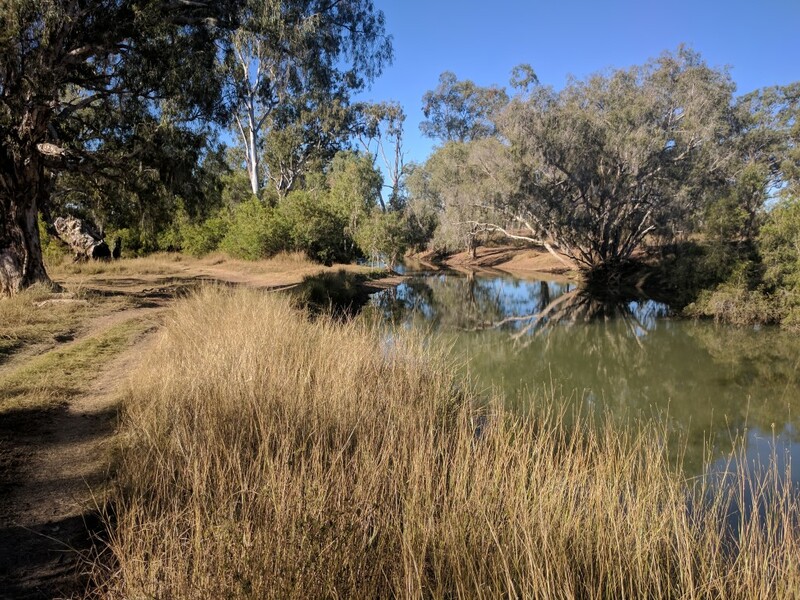 The Valley of Lagoons is a locality in the Charters Towers Region, Queensland, Australia. 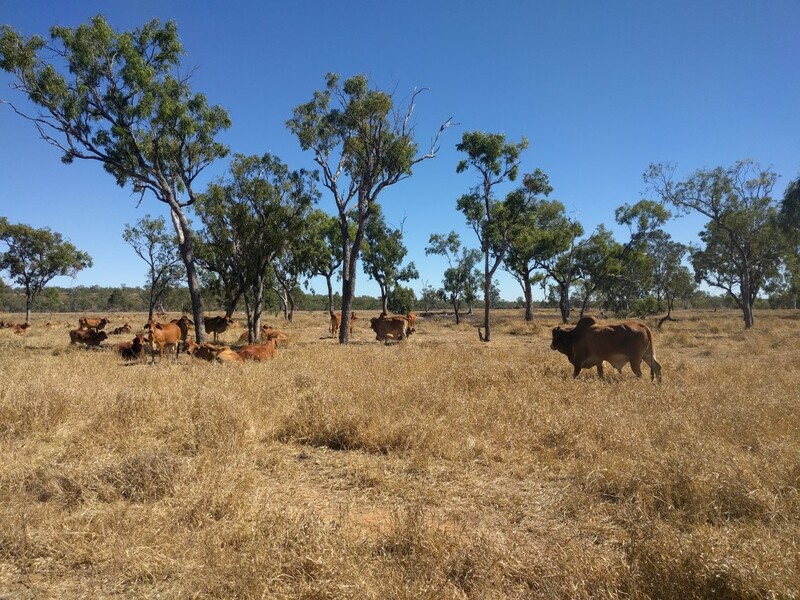 It's about 400km inland northwest of Townsville near Greenvale (West of Cardwell/Ingham). It has an abundance of bird life so it's great for bird watchers and enthusiasts. There's also great boating in the lagoons and it's popular for fishing and catching Redclaw. You will also find a few rope swings around the place so you can make a splash and cool off in the refreshing water. There is a small hill that will give you a good perspective and a view of the area. 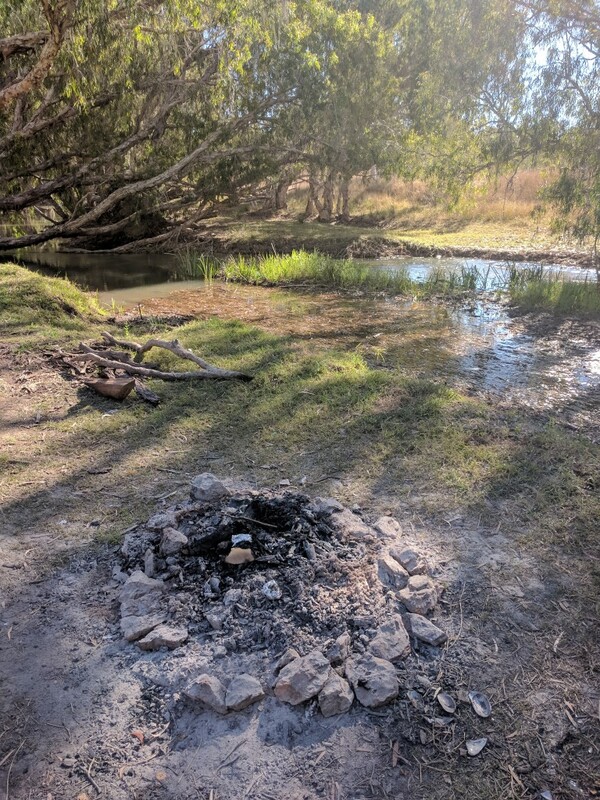 As usual with bush camping, there are no facilities provided so that means you will need to take a shovel to bury human waste (15cm deep and 100m from camp sites, tracks and watercourses) and TAKE YOUR RUBBISH HOME with you. 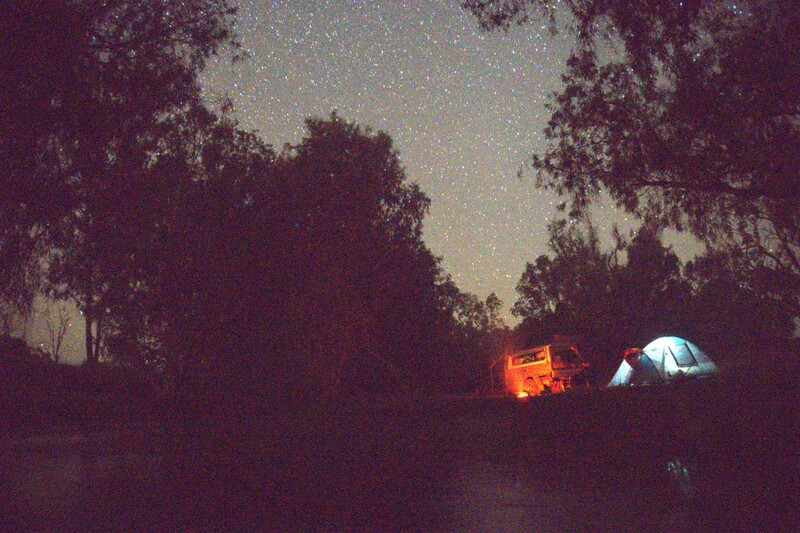 There is a multitude of camping spots and you won't find a bad one. There are a few with excellent shade next to the water's edge. I recommend visiting during the week away from school holidays and long weekends so you can have the place to yourselves. A popular time of the year is the Easter weekend; there would be about 200 people scattered throughout the location and it will be overpopulated. Also it hosts the Reedybrook Ashes which is a charity cricket event held on a weekend every August. Get a cricket team together and get up to the Reedybrook Ashes for a great weekend and raise funds for the Flying Doctor. 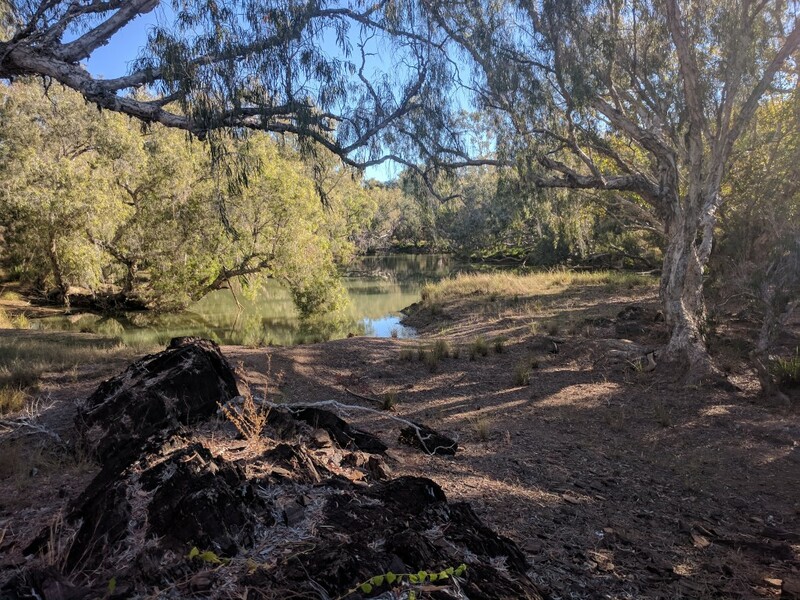 There's a monument and plaque mentioning Valley of Lagoons locality and the expedition and where the early European explorer, Ludwig Leichhardt, camped. I suggest you allow for two nights and go home after one if you're not suitably impressed with the area. The owners of the station are George and Audrey Harriman who very kindly allow people to camp here. They also appear to allow pig hunting so you hear the odd shot in the distance, don't be alarmed; you may notice some campers with their pig dogs. You don't need to book. Please note that motorbikes are not allowed. The firewood situation is a bit sad around the river, but you may be able to scavenge some wood leftover by others. If you head back towards the Greenvale road for about 4 - 5 km you may be able to find some timber. It's heavy, long burning wood. Just be sure to extinguish your fires before leaving. 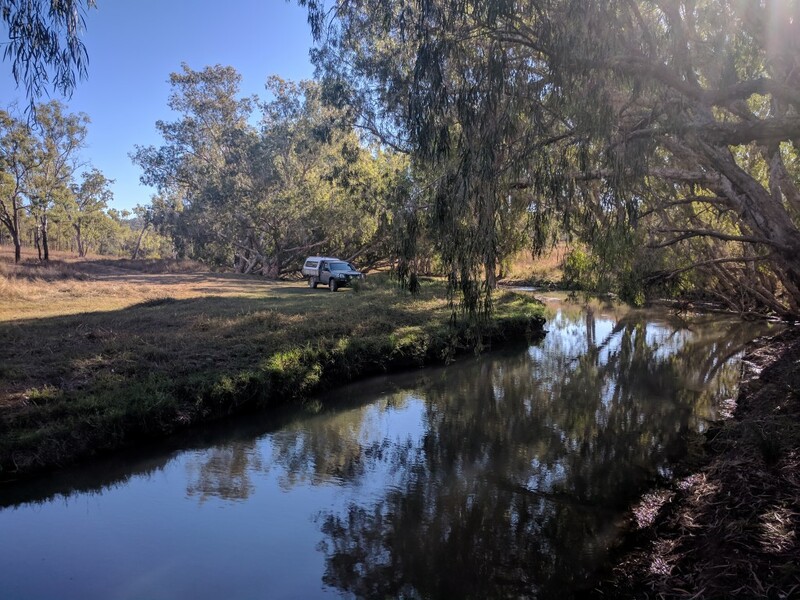 You do not need high clearance vehicle or 4WD to access Reedybrook Station but if you want to access all of the camp sites you will need to cross the creek. It is pretty well sign posted and is possible to navigate there without a GPS as long as you have a rough idea; there aren't many forks in the road but that being said, there's a couple turns will keep you guessing. Undara Lava Tubes are also worth a visit if you're heading that way. 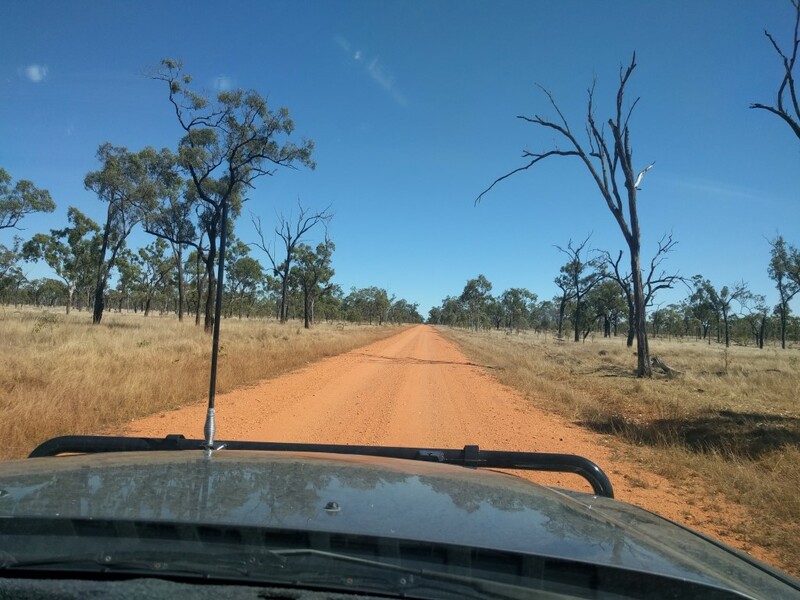 The 160km of corrugated dirt road with dips and creek crossings. I wouldn't want to go there in the wet season by this route. 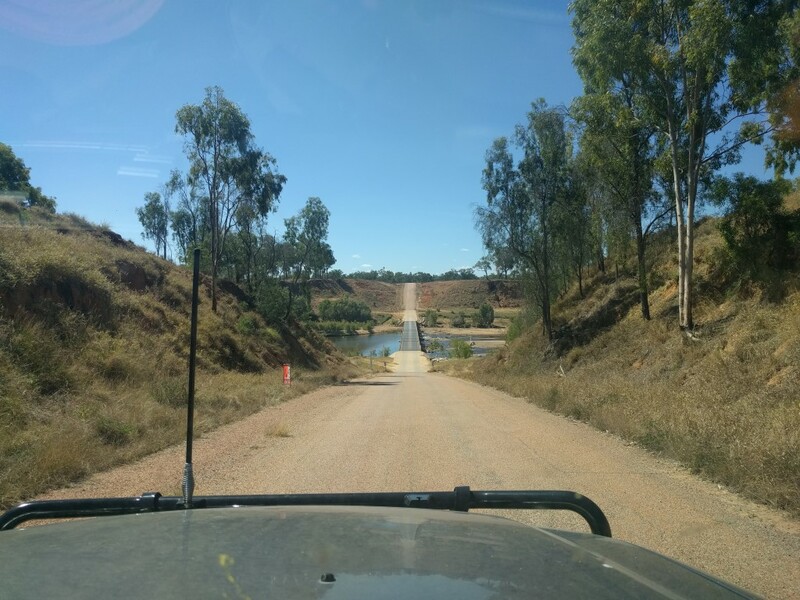 The low level grid bridges and corrugated, windy roads make for an interesting drive and for someone who hasn't ventured into the outback, the landscape can be fascinating. Just keep an eye out for washouts. You don't usually see many cars on the dirt roads in the outback. The other route only has 50km of well maintained dirt. 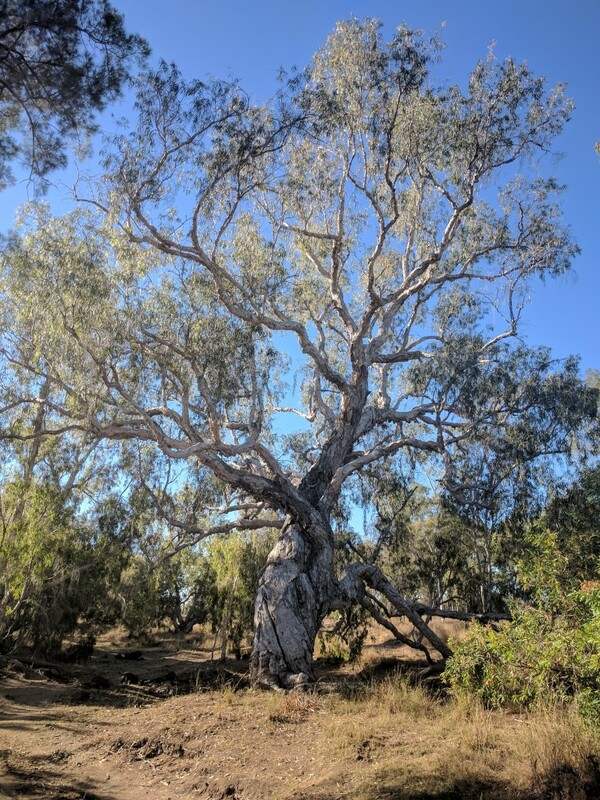 The turn off to Valley of Lagoons Road is about 50km North of the Oasis corner or about 110km South Mount Garnet if coming from that direction. From Townsville, take the Herveys Range Developmental Road turning right onto Gregory Developmental Road (The Great Inland Way), then right on Kennedy Development Road, and another right onto Valley of Lagoons Rd. There is a dam on the left side of the road (heading north) at the turnoff. After the turn it's about 50 - 55 km in on a newly graded road. 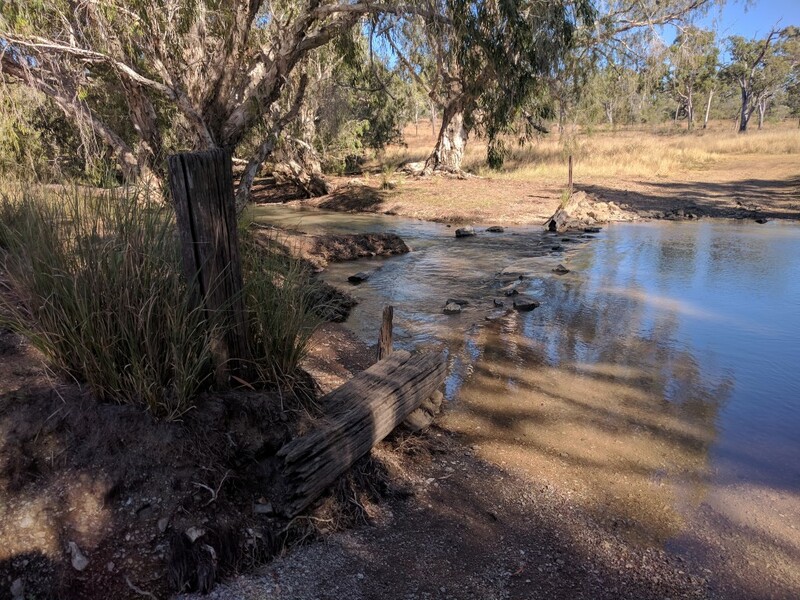 The drop into the valley is a few hundred metres before the Reedy brook homestead turn off. I organise adventures every weekend around Townsville. 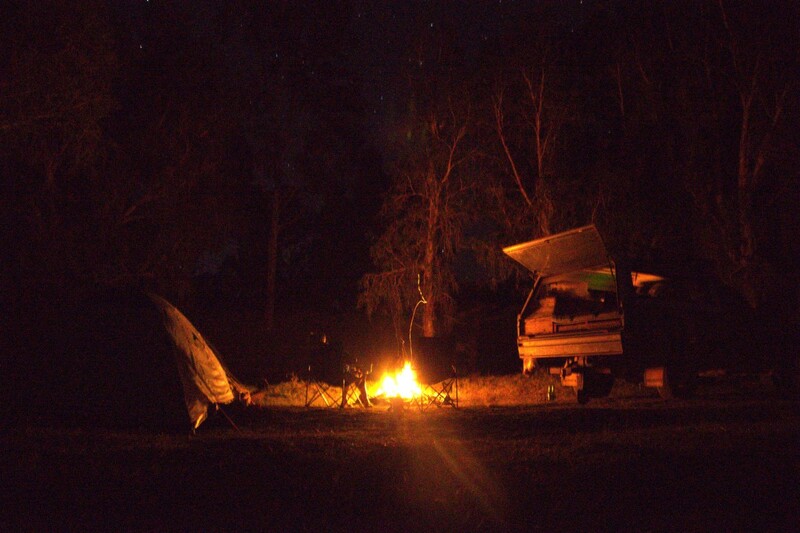 If you are fit and capable, join us on these free expeditions by visiting Townsville Adventures. Adventurer first, content maker second. I love to explore the great outdoors no matter the expedition. There are so many activities that allow us to connect with nature and one another. The Terraces is another wonder of the Palm Creek area, arguably the better of the three to see. The other two points of interest are Hidden Falls and The Cascades. This track goes along the old Bluewater Forestry Road to the Paluma township. On the south side of the range it follows the Bluewater Range Track. It is currently overgrown and disused.